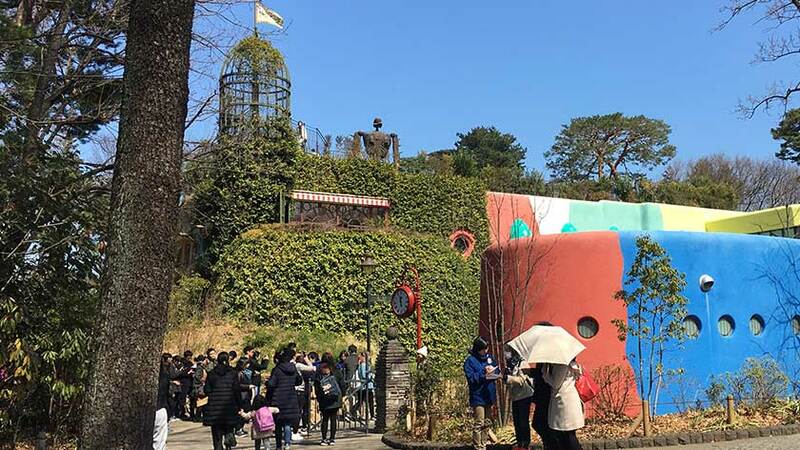 The Ghibli Museum is a must-see for fans of Japan’s most famous animation studio, Studio Ghibli. Exhibits on the animation process, famous productions, and a small theater are all contained within the quaint museum which is mostly wheelchair accessible. The museum starts with a history of animation and the techniques used in production. There is also a small theater that shows animated short films that are exclusive to the museum. The second floor has temporary exhibits and a cafe. The third floor has a kids play area on a giant Catbus character and gift shops. There is also a rooftop garden. Tickets are not sold at the museum but must be purchased in advance. Tickets for the following month go on sale for on the 10th of each month for 1000 yen. They can be purchased at Lawson convenience stores in Japan using the Loppi automatic ticket machines and a small number are available online in English from the l-tike.com website. Tickets for weekends and holidays sell out quickly. To prevent scalping, you will need to enter your name and have ID when entering. The Ghibli Museum is accessed by bus from Mitaka station. 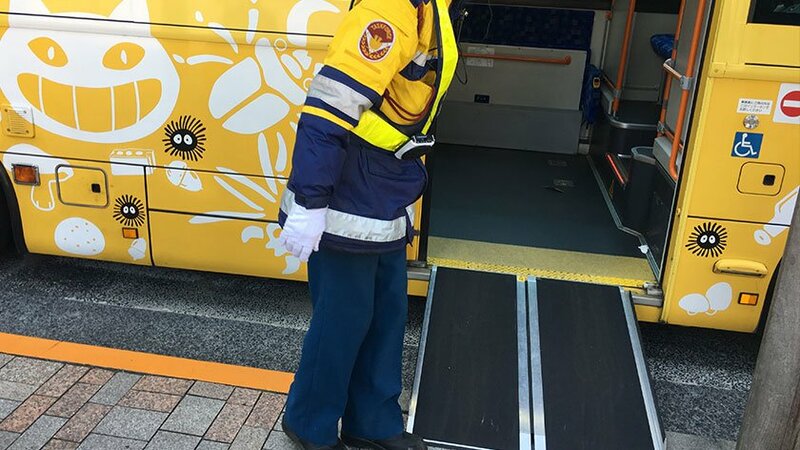 Both Mitaka station and the bus to the museum are wheelchair accessible. 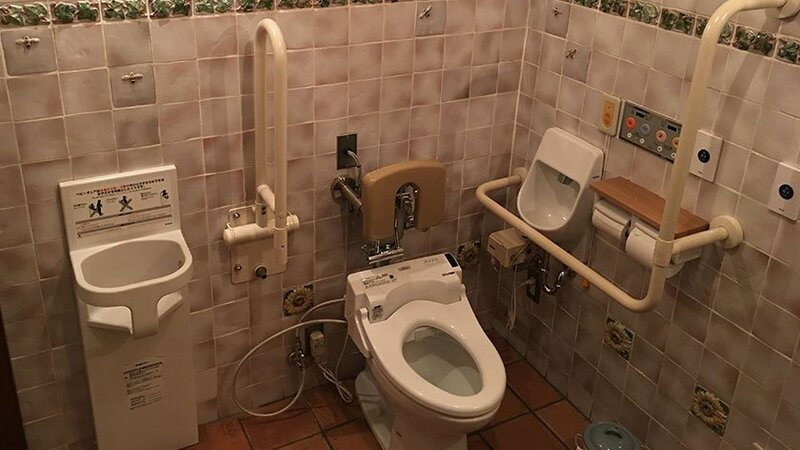 The Ghibli Museum is fairly accessible, but has some challenges as well. The first room is the history and techniques of animation exhibit. Since the museum is more like a house than a traditional museum, the exhibit rooms are not very spacious. Adding to this, many children are running around and it can require your full concentration to not bump into people – unfortunately taking away from immersion. It should be noted that the history and techniques of animation exhibit features many flashing lights, this could be a trigger for those with epilepsy or sensory issues. The theater is also found on the first floor. The normal theater entrance is down a few steps but wheelchair users enter from the exit doors. If you let the staff know you would like to see the film, they will show you into the theater after the previous showing has ended. There is a balcony at the back of the theater that can accommodate 2-3 wheelchairs. Stools will be provided for companions. The location provides an excellent view of the screen – it is elevated above the other seats so there is no chance of having a blocked view. 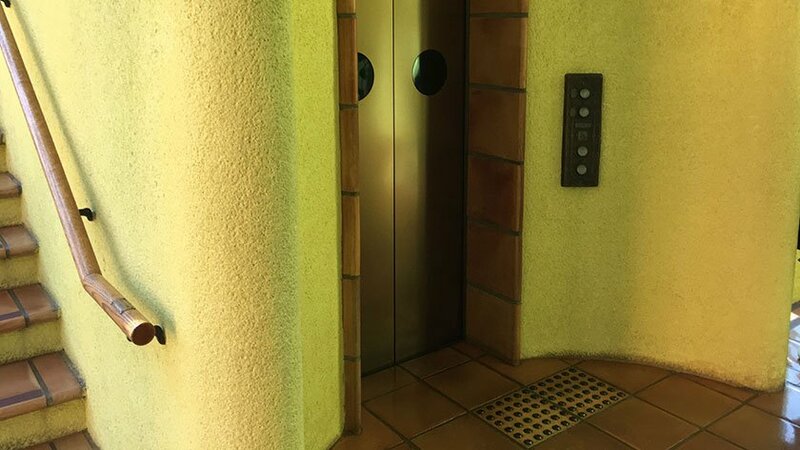 Two elevators are available to access other floors. The second floor has temporary exhibits but the exhibition space has many corners and is a bit small – again, making it difficult to easily navigate. The cafe has many seats inside and outside and is accessible apart from being crowded. The shops on the third floor are very crowded. The rooftop garden is only reachable by stairs and is therefor inaccessible to wheelchair users. Wheelchair accessible toilets are available on all three floors. 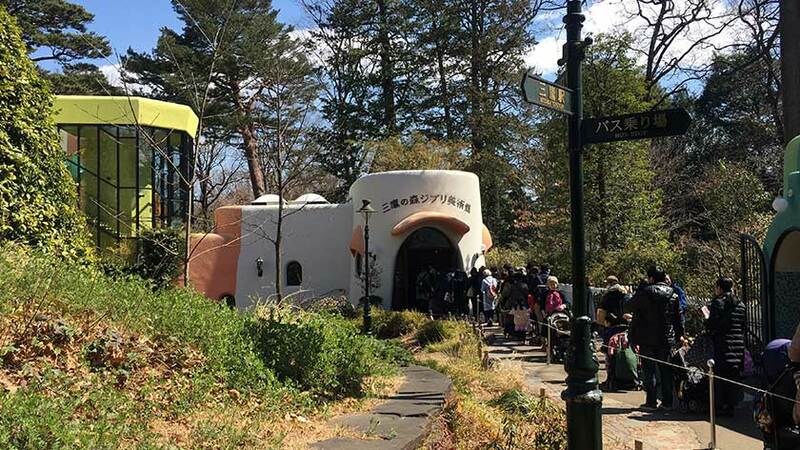 For anime fans, the Ghibli Museum is a must-visit. Once inside you can stay as long as you like, but you may finish in as little as an hour. While the majority of the museum is accessible, the crowded, tight spaces may be frustrating for some people. It is unfortunate that the rooftop garden is not accessible to wheelchair users, but the elevators and accessible toilets ensure that the main exhibits can be experienced by everyone.